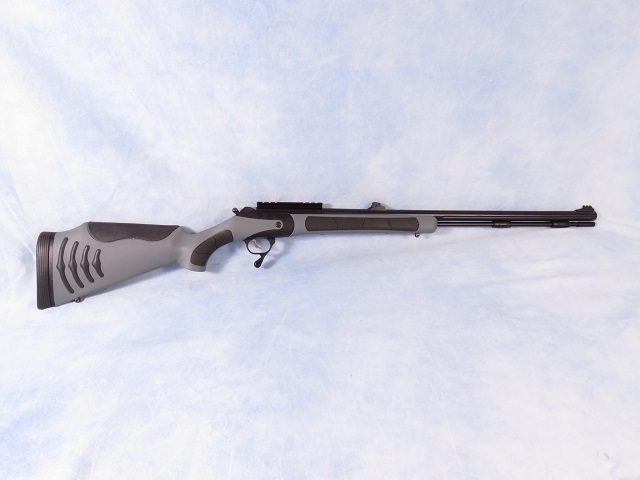 Thompson Center Arms model Bone Collector muzzleloading rifle chambered in .50 caliber. Customer downsizing his muzzleloader collection. Has used this rifle several years for deer hunting, but you would never know by looking at it - super clean! One of TCA's early Bone Collectors, this rifle comes with open fiber optic sights and a rail for mounting a scope. Break-open breech with no-tool plug removal; this is a super nice ML!